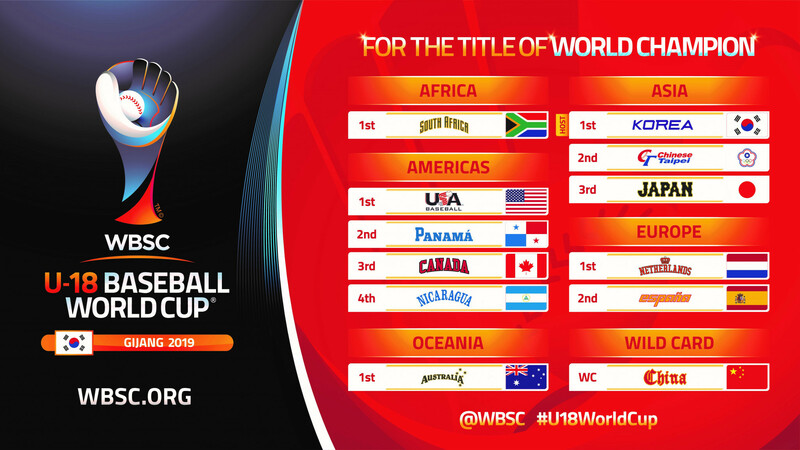 Australia and China have been confirmed as the last teams who will compete at this year's World Baseball Softball Confederation (WBSC) Under-18 Baseball World Cup in Gijang. The Australians qualified for the male tournament in South Korea after winning the Oceania Championship at the Paseo Stadium in Guam. Their final with American Samoa was rained off but they won the event after outscoring their opponents in the first game of the page-system play-offs. China, the fourth best ranked side in Asia, have been selected to compete after being handed a WBSC wildcard. 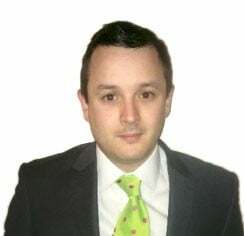 United States will be looking for a fifth title in a row in Gijang. As well as hosts South Korea, Canada, Chinese Taipei, Japan, The Netherlands, Nicaragua, Panama, South Africa and Spain have also qualified. 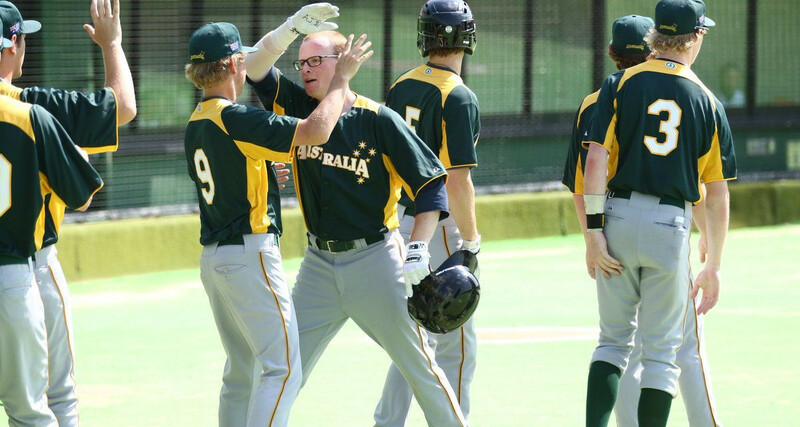 "Congratulations to Baseball Australia, the youth champions of Oceania, and congratulations to the Chinese Baseball Association for being awarded the wildcard after demonstrating tremendous growth and promise for our sport in China," said WBSC President Riccardo Fraccari. "With the 12 teams now confirmed, these top finishers across the five Olympic continents will now move on to select their best youth baseball players to compete in one of the top Youth World Championships in sports." Action at the Gijang-Hyundai Dream Ballpark will take place between August 30 and September 8. It follows the last edition in Thunder Bay in Canada in 2017. A new website for the tournament has been launched in six languages here.